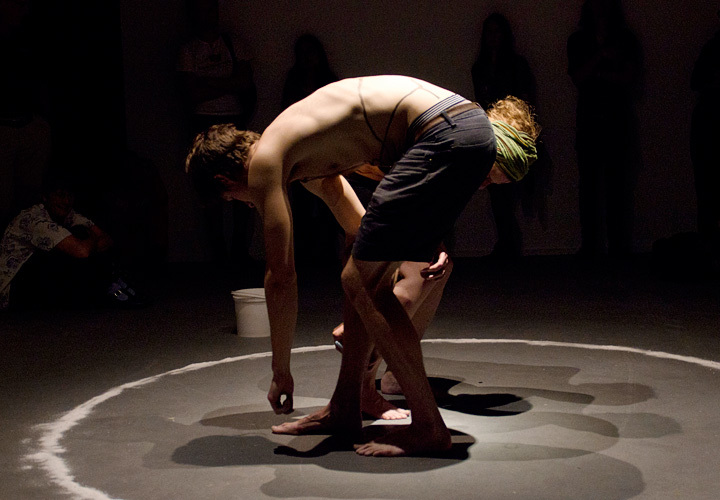 Infrathin was a performance by CJ Conway and Dylan Hammond. A ritual of circular feedback through drawing and touch, looping the sensory and extrasensory. 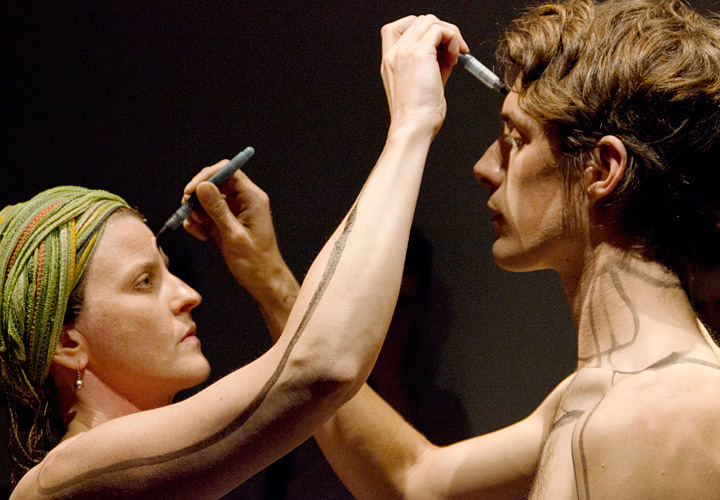 Constructed as a lead and match exercise, one artist draws on the other who attempts to recreate the drawing on the originator. This drawing occurs almost entirely through touch, intuition and anticipation and the exercise begins and ends with a line drawn from their heart across linked hands to the others heart. This work is part of a 4 day series of performances curated by Malcolm Lloyd entitled Open Up. Running at Kings ARI, Melbourne, from October 19th-22nd the program addresses the relationship between body and spirit.